​Several human rights advocates have come together to submit an official complaint to the Minister of National Revenue, and to senior officials in the CRA, detailing JNF Canada’s breaches of Canadian law and its complicity in violations of international law, and requesting that the Honourable Minister, Diane Lebouthillier, initiate revocation of JNF Canada’s charitable status. ​We call upon all Canadians to join us in demanding that our government uphold the law. ​Click here to read the full complaint. Canada's official policy on the Israeli-Palestinian conflict states “Canada does not recognize permanent Israeli control over territories occupied in 1967.” However, JNF Canada is helping Israel effectively annex parts of these territories, making JNF Canada complicit in violations of international law. JNF Canada's projects in the Occupied Palestinian Territory (OPT) are intended to establish permanent Israeli control over these occupied territories. Canada's official policy states “Canada opposes Israel's construction of the barrier inside the West Bank and East Jerusalem which are occupied territories. This construction is contrary to international law under the Fourth Geneva Convention. Canada not only opposes Israel's construction of a barrier extending into the occupied territories, but also expropriations and the demolition of houses and economic infrastructure carried out for this purpose." However, JNF Canada-sponsored parks and forests which straddle the internationally-recognized border between Israel and the OPT (the Green Line) and which jut into the OPT have been used by Israel as an opportunity to extend its illegal barrier further into the OPT. At times, the illegal barrier has directly followed the boundaries of JNF Canada-sponsored projects within the OPT. Canada's official policy also states “Canada does not recognize Israel's unilateral annexation of East Jerusalem.” However, JNF Canada-sponsored projects in East Jerusalem are designed to further entrench Israel's illegal annexation of the territory. International law is embedded in Canadian law, and therefore Canadian charities that are directly complicit in violations of international law should be held accountable in Canada. Canadian public funds are used in a number of ways to promote the activities of JNF Canada. Since the organization is in violation of Canadian and is complicit in violations of international law, the #StopJNFCanada campaign believes the Canadian tax payer should not be subsidizing it! The Manitoba Ministry of Agriculture signed a Memorendum of Understanding (MoU) with JNF Canada for the “contribution of funds to achieve the mutually desired results” in R&D in the fields of water conservation and agriculture. As part of this MoU, the province holds a periodic Manitoba-Israel Water Symposium. Did you know that former Prime Minister of Canada Stephen Harper toured Israel with the JNF? Former Minister of National Defence Jason Kenney spent $960.31 on one trip to, among other things, MC a JNF Negev Gala and $1,291.74 on another. Former Environment Minister Peter Kent and Former Prime Minister Stephen Harper, Senator Linda Frum, and former Canadian Minister of State for Multiculturalism Tim S. Uppal have all toured Israel with the JNF. In 2007, Agriculture, Food and Rural Initiatives Minister Rosann Wowchuk presented a cheque for $333,000 to JNF Canada Prairie Region "as the second installment in Manitoba’s $1 million commitment to promote technology exchanges and partnerships between communities in northern Manitoba and Israel." The JNF and the government of Alberta started a $2 million joint research project on water conservation in 2005. As part of this agreement, the province funded a mission to Israel. The Government of Manitoba established a 10-year annual $25,000 scholarship at the University of Manitoba in 2008 for a graduate student in either a Masters or PhD program to study in Israel for up to two years in a recognized program, as part of an agreement reached between Manitoba MLA Christine Melnick and JNF Canada. The City of Ottawa is listed as one of the donors to Canada Park, built on the lands and ruins of three Palestinian villages ethnically cleansed by the Israeli army. The Park is one of the JNF's biggest projects, and it was directly responsible for planting over the villages destroyed (and they also took part in razing the villages). To this day, the Palestinian survivors are banned from returning to their lands due to Canada Park. The President of Carleton University was announced as an "honorary co-chair of the JNF Ottawa dinner" in 2011. In a 2013 Negev Dinner Former Prime Minister Stephen Harper was honoured. Proceeds from the gala went to support the building of the Stephen J. Harper Hula Valley Bird Sanctuary Visitor and Education Centre in Israel. Former Senator Erminie Joy Cohen was honoured at a Negev Dinner with the planting of 28,000 trees in the Negev Desert as part of the Jubilee Forest Project (Equivalent to roughly $500,000). ​In this regard, several Israeli NGOs and human rights organizations like ACRI, Adalah, and B’Tselem have been trying to use Israeli democratic institutions like its parliament and High Court in order to force the JNF to follow Israeli law. If Canada is to follow its own stated policy, it should support these efforts. 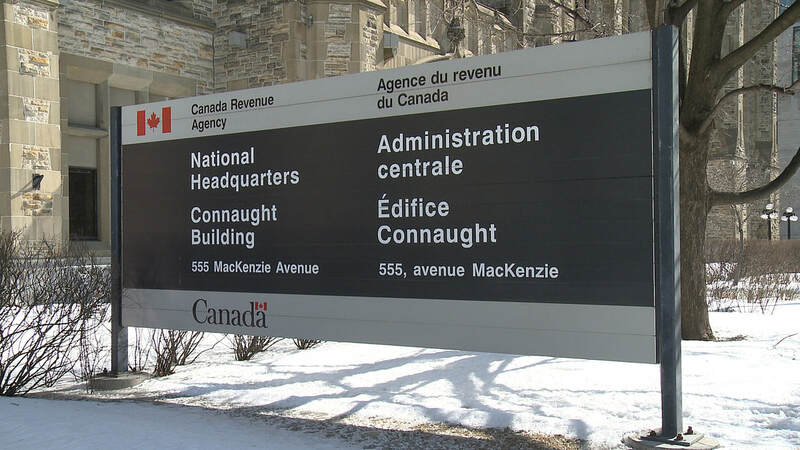 Read our Official Complaint to the Canada Revenue Agency!